Bitocean Review: Japan's Bitcoin Teller Kiosk To Buy & Sell Crypto? Bitocean: Japan’s Bitcoin Teller Kiosk To Buy & Sell Crypto? BitOcean, found online at BitOcean.co, is a two-way bitcoin machine made in China. Find out how it works today in our review. BitOcean is China’s first self-developed two-way bitcoin ATM machine. 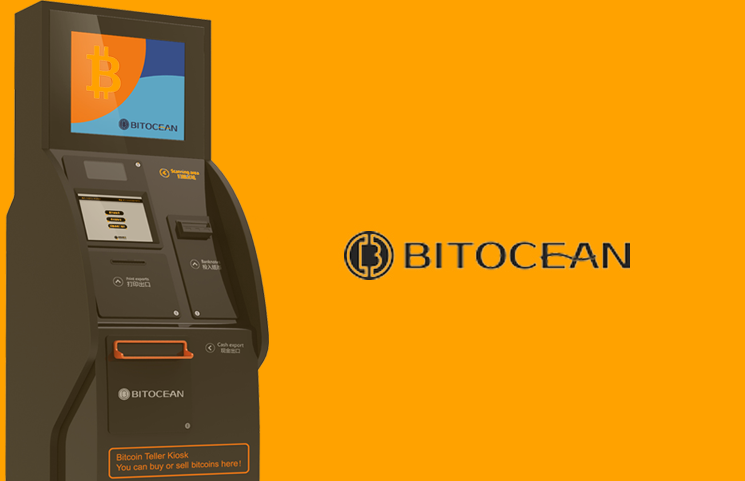 Like other two way bitcoin machines, BitOcean lets you buy and sell bitcoin through a convenient ATM interface. In December 2017, VeChain announced it had formed a strategic partnership with BitOcean. Last year, BitOcean also became one of the first cryptocurrency exchanges to be fully licensed by Japan’s Financial Services Authority, or FSA. Today, BitOcean is active throughout China and Japan. The company was founded in 2013 in China and Japan. They launched their original bitcoin ATM in 2013 before launching the first Chinese two-way bitcoin ATM in 2014. In addition to selling ATMs, BitOcean is working on opening a new “O2O” cryptocurrency trading platform. “O2O” stands for “online to offline”. It would allow the trading of crypto assets from online sellers to offline buyers and vice versa. BitOcean’s two-way bitcoin ATMs are priced at around $10,000 per unit. That’s mid-range in the bitcoin ATM industry, where lower end models are priced at $5,000 and higher end models at $15,000. BitOcean was created by founder Xiaoning Nan and co-founders Yan Pu and Hanson Hong. The company is headquartered in Chaoyang, Liaoning, China (in Beijing). They also have offices in Japan. BitOcean has been making bitcoin ATMs since 2013. Starting in 2014, the company pioneered the two-way ATM in China, allowing users to buy and sell bitcoin over a traditional ATM interface. Today, BitOcean remains active throughout China and Japan. To learn more about the company and its upcoming online to offline cryptocurrency exchange, visit online today at BitOcean.co. Cryptocurrencies Taxes Guide: How Bitcoin & IRS Reporting Works?